My problem is, I’m not sure I have anything to say that would be productive enough to be worth dialoguing about. I suddenly realised, when I was writing my abortive review of the book, what it reminded me of — a graphic novel I read last year called Rumble Strip , which is about contemporary society’s obsession with cars. There’s a brilliant section about how believing in road markings — believing that lines of paint on the ground denote actual boundaries — is a necessary absurdity, essential to keeping the whole system going. The book points out that our shared belief in those lines of paint is so strong that driving across them — even in, say, an empty car park — always carries a transgressive thrill. And I read that, and while intellectually I already knew what it was telling me, the book brought out the emotion of the situation in a way that made it fresh. The City & The City wants to be that writ large, I think. It seems to me that for the book to work, you have to be convinced by the central conceit — you have to believe, even if only temporarily, in the separated coexistence of Beszel and Ul Qoma as Tyador Borlu believes in it, as necessary even if absurd – and unfortunately, I never was. Which leaves me intellectually appreciating the neatness of “unseeing” and the rest as refractions of real-world behaviours, but not emotionally engaged by most of the book. Sometimes, yes — I found any scene with driving in is terrifying, because it taps into the same knowledge as Rumble Strip , except here you have a sustained, deliberate transgression of the rules. But mostly, I just didn’t think it scaled. Yes, I “unsee” homeless people sometimes; not that I’m proud of doing so. Yes, people can live in the same physical cities and, metaphorically, in entirely different places. No, I don’t believe that metaphor can be formalized in the way that The City & The City asks me to believe it can. 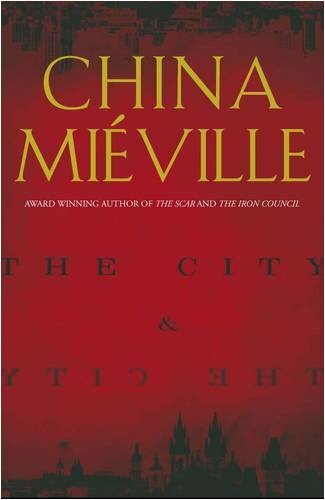 Well, I think that you’ve cottoned on to what Mieville is up to — not that it wasn’t blatantly obvious — but, at the same time, he reminds us very early on that “this city is not an allegory”. With that warning in mind, I didn’t worry too much about whether the behaviours on show in Ul Qoma and Beszel ‘scaled up’ from our own urban villages; instead, I tried to see whether or not they made sense in and of themselves. Undoubtedly they do — the book is very successful in making sense of its wild conceit. As you say, the concepts of unseeing and unsensing are very neat, and all the cross-hatched city stuff very well drawn: I believed that Borlu believed in it and, more importantly, lived by it. To that extent, I’m not sure the reader has to believe in the cities as Borlu does for the book to be a success — do we believe in the Ring as Frodo does? Of course not. And yet, of course, LotR is not set in our world. Explicitly, The City & The City is — or rather, it is set in a parallel world as close to ours as not to matter. People write books, use telephones and board planes in Borlu’s world as they do in ours; they speak the same languages, have the same emotions. For me, that’s where the book trips up — it situates its metaphor in a milieu too familiar. I didn’t believe in, as you say, the necessity of the separation because I didn’t believe the cities’ inhabitants would — not because people can’t be conditioned to accept something so absurd, but because people would never have made the separation, or sustained it, in the first place. Unusually for Mieville, I just didn’t buy the sophistication of his politics. He thanks Farah Mendelsohn in his acknowledgements, and that makes me wonder if The City & The City fails because it is more excercise than fleshed-out world: this fantasy is a portal quest (Copula Hall), yet it is also immersive (because we begin in the world and our POV character is part of that world); at the same time, it is intrusive — Breach and one city exist constantly at the edge of perception for inhabitants of the other — and liminal, since that gap between our world and the fantasy is never properly resolved. Is The City & The City less a novel and more a deliberate taxing of the taxonomy? To take your last point first: ah, I hadn’t thought of it like that! It’s certainly plausible that he was familiar with and playing with Mendlesohn’s taxonomy, particularly since he’s borrowed at least one term from the Encyclopaedia of Fantasy . (Crosshatch: “in many fantasy tales the demarcation line is anything but clearcut, and two or more worlds may simultaneously inhabit the same territory … in a novel like M John Harrison’s A Storm of Wings (1980 US) the entire landscape is a crosshatch … In other words, when borderland conventions are absent, there is an inherent and threatening instability to regions of crosshatch.”) And the book clearly plays with other conventions of fantasy, too, such as the specialized vocabulary — Breach, unseeing, topolgangers, all the rest — which I think is one of the ways in which The City & The City attempts to shape our thinking, as readers: it takes the familiar geeky joy of getting to grips with worldbling and attempts to make it do some work. On the other hand, Mieville has also said that one of the impetuses behind the novel was that it was written as a present for his mother, who liked mysteries; so presumably it is intended to succeed on that level as well. But your second paragraph nails the problem, for me: my argument with the book is precisely in the extent to which it is not fantasy or allegory. If The City & The City had been set in an invented world, or if it had created a secret, mythic world within our own, I suspect I would have found it (paradoxically) easier to believe in. But all the trade agreements, and the stuff about tourism, and the mention of a Chuck Palahniuk novel set in the cities — all of this repeatedly and explicitly places them in our world, and undermines my ability to believe that people could, as you say, ever have made that separation or sustained it. I’m harping on about belief because I do think it’s central to the book — and in particular to the ending. You say you didn’t buy the politics of the novel: clearly, in addition to commenting on urban blindness, it’s also a comment on international relations. What did you take it to be saying, on that front? On the one hand, the selective ignorance of Borlu and everyone else in the cities can be seen as a false consciousness, called out as such by some of the political radicals, and by the foreign businessman at the end of the book: the inhabitants of the cities should realise that they are stronger united than divided, but they never will. On the other hand, you can see it as an argument for the necessity and value of borders, the distinct cultures of Beszel and Ul-Qoma being preserved by the separation. (Either way the businessman is a hypocrite, blind to his own blindnesses, but that’s neither here nor there.) But while in principle I’d like to be able to take the ending as holding these two ideas in tension, in the way that it holds the two cities in tension — because both arguments are to some extent valid — in practice the former reading seems very much stronger. I do believe that Borlu believes in the cities; I just think he’s a complete dolt for doing so. Which doesn’t make him a terribly satisfying narrator to spend time with. I’ve just finished the book so shall comment belatedly even though things have moved on no doubt (but just to be clear: I did read it; it did work). All Niall’s talk of separation reminded me of the Priest novel. There are resonances between the two books. The City and the City is a more explicit account of something implied in The Separation. I would suspect that an influence is Zizek’s (who gets mentioned) The Parallax View. The novel is about the Real (a term that also gets used). I think it breaks new ground precisely in producing a combination of epistemology (detection) and ontology (fantasy) that maps the Real. One to think about, savour and return to. I ask this genuinely, and without snark: in what sense is this novel ‘about the Real’? The quote is designed to prove to people that we’re not talking about the Lacanian Real. That’s my basic argument as to why its about the real. There’s also a nice sense of Kafka in that only be being guilty can you be ‘saved’ (so it’s a kind of positive reworking of the Trial. As for the absence of wisecracking wit – I think it’s (a) deliberately downbeat – reminded me slightly of The mournful demeanour of Leiutenant Boruvka and (b) there is a dark Kafkaesque/Orwellian humour. I liked the combinations – I can see that others might not. Mieville just hits my buttons…. I have just read the book and thoroughly enjoyed it, and certainly i have had a couple of interesting dreams since. But i have tried to understand the dynamics, and have come up with a couple of ideas. I have a book called “one River” by Wade Davis, which is a travelogue in the Amazon, based on the life of Richard Schultes (ethnobotany and hallucinogens). In one chapter, The Sky is Green and the Forest Blue, he talks about the very culturally driven vision of the world. examples include walking through a feature-less forest floor but being able to notice all the important trees. i have travelled in the Amazon, and it always struck me the ability of guides to see various animals. I started to think that when someone “sees” part of an animal, the rest of it is constructed in the minds eye. so culture could drive what one is seeing, and perhaps provide the premise for city and the city. Can we capture Dan’s point about the book playing games with the classification of fantasy by calling it a taxon evasion scheme? I really really admire that man.